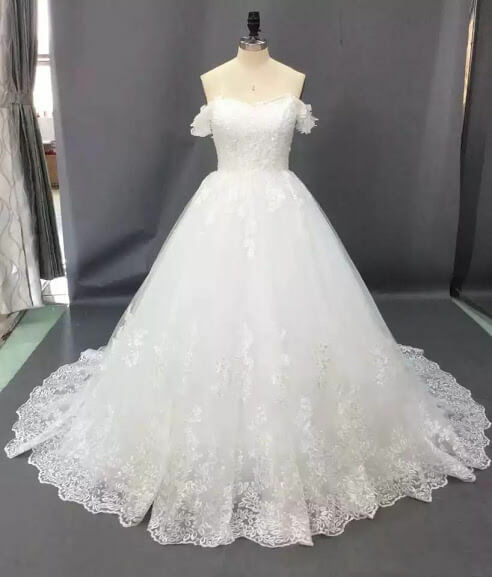 Be a beautiful bride in this trendy ball wedding gown available for sale in Lagos. Give an expression to the princess in you in this gorgeous wedding gown. The wedding gown is floor length and the back of the bridal dress is lace up; this makes wedding gown easily adjustable. The wedding gown is sleeveless. 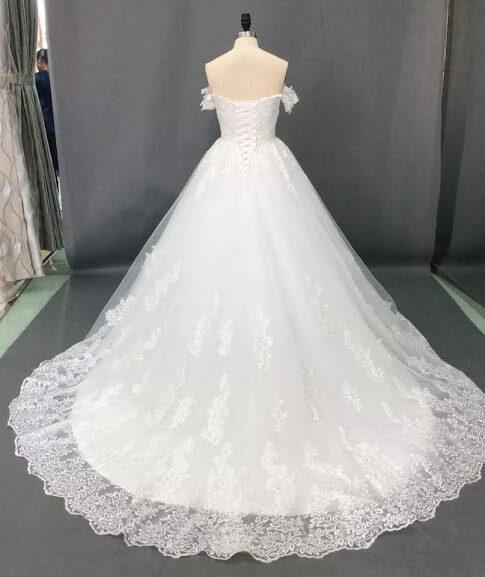 The silhouette of the wedding gown is ball wedding gown. The wedding gown fabric is a mix of high quality bridal satin and lace. our store is at 8, Ajayi Aina Street, By Deeper Life Church, Gbagada, Lagos.